Heavy Duty Carabiner Snap Hook with eyelit 316 Stainless Steel 1.5" to 5.5"
Jaws are open due to the gravity when it touches the objects, closed. Multifunctional Stainless Steel Gravity Hook Pocket Foldable Grappling Claw Climbing Claws for Outdoor Hiking. 1pc x Climbing hook. 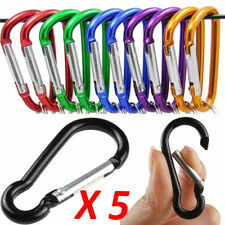 5pcs x carabiner hooks (hooks only, other accessories are not included). Suitable for hanging buckles, key ring, hang water bottle, etc. Perfectly for outdoor activities, such as camping, fishing, hiking, traveling, etc. 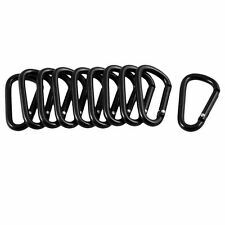 10 Pcs Black D Shaped Aluminum Alloy Carabiner Hook Keychain A carabiner keychain is a great accessory for your keys and other important things you need by your side at all times. Use for holding water bottle on the bag, easy to use, just press and put item in it. Made of aluminum alloy material, it is convenient fength 38 x 20 x 5mm Brand Unbranded MPN Does not apply UPC 4894462368022 EAN 4894462368022 EAN 4894462368022. This climb buckle can be used for climbing. It is firm and durable. Do not miss it! Weight of each hook: about 3.7 grams. Firm and durable. Material: aluminum. Quantity: 20 Pcs. Size:18cm(whole knife)7.5cm(blade). Multi-functional knife :key chain ;cross screwdriver;flat screwdriver;corkscrew; screwdriver,etc. 1 x Mini Multi-functional Key Blade Knife. Ergnomic arc knife handle,convenient to operate. Suitable for 9-12mm rope, easy to use. 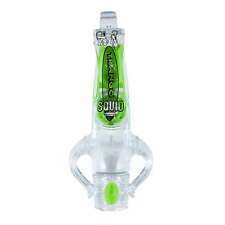 15KN heavy duty, suitable for most people to use. Maximum Breaking Strength: 15KN (1500kg). 1 Climbing Descender. 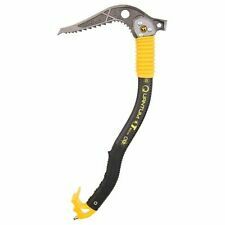 Used for rappel system, also suitable for fire rescue, working aloft, etc. 5PCS x Carabiner. Aluminum alloy carabiner with screw lock. Adapter Cable. Preschool Toys & Pretend Play. If you do not receive our reply within 48 hours, pls. Can be used for hanging bottles, hanging bags, hanging key rings, connecting tent and ropes, etc. 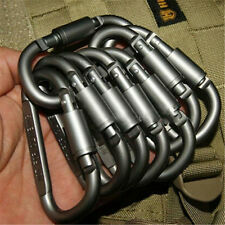 Stainless Steel Buckle Carabiner Keychain Key Ring Hook Lock Outdoor Climbing. Feature with a ring, can easily be hung on belt loop or bag. Mini size, easy to carry. Color: Random(Red/Blue). Suitable for outdoor activities, such as camping, fishing, hiking, traveling, etc. Trending at C $3.86eBay determines this price through a machine-learned model of the product's sale prices within the last 90 days. Tensile force: 30KN ( about 3000kg ). 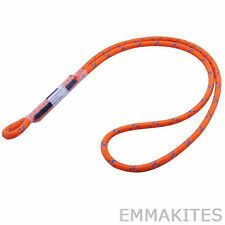 - Can be rotated 360 degree, and the rope does not twist knot. 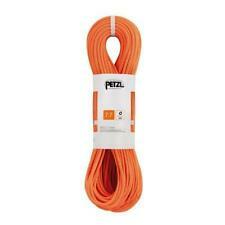 - For using with static and dynamic ropes placed between a load and either rope or cable. - Wide eye openings can fit for multiple carabiners. 5Pcs Aluminum Alloy Carabiner with screw lock. Material: Aluminum Alloy. Can be used for hanging bottles, hanging bags, hanging key rings, connecting tent and ropes, etc. USA, Canada, United Kingdom, Austrilia, France, Germany, Spain, Ireland, Italy, Others. The ultimate tension: 25KN. 1 x Carabiner Lock. Properties: Safety hook. Material: Hight carbon steel. Application: exploring, rappelling, rescue, engineering protection, aerial work. You can follow below process to chontact us. If you encounter any trouble. Maximum load-bearing: about 15 kg. 1PCS x New Rotating D Buckle. Item No: Q0322. 5Pcs Aluminum Alloy Carabiner with screw lock. Material: Aluminum Alloy. Can be used for hanging bottles, hanging bags, hanging key rings, connecting tent and ropes, etc. 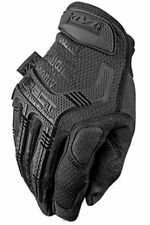 Lightweight, waterproof, wear-resisting and durable. Trending at C $5.47eBay determines this price through a machine-learned model of the product's sale prices within the last 90 days. Features: 100% Brand New and High Quality. High quality base, good flexibility and abrasion resistance Easy to put on and take off It can be used on wet grass, mud, snow and ice field. Slip on over shoes, require no special buckles or straps Avoid slips and falls on ice with anti-slip snow cleats Suitable for: Hiking, climbing, walking and other outdoor activities. Light Weight and Durable Carabiner. 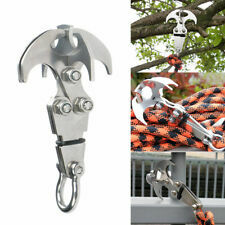 Package include:1 x Climb Hook Lock Keychain. Ideal for hiking, camping and outdoor activities. 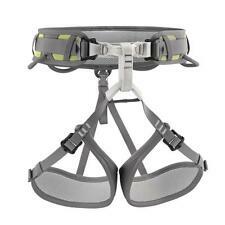 Uses: hiking, hanging equipment, hanging kettle, hanging bag, hanging key rings, etc. Climbing grappling hook with teeth. 1x Grappling hook. Multipurposes, suitable for outdoor climbing activities, outdoor wilderness survival activities, outdoor adventures, and used. Foldable size: 18x5.5cm. Load Bearing: 12KN. Smooth corners can be used for outdoor camping, hammock, etc. 1pc×Climbing Carabiner. High-quality aviation aluminum alloy, beautiful and strong. Elastic buckle design, easy to use. Five Ten 5.10 Stealth C4 Lace Up Climbing Shoes EUR 44, US 10.5, worn twice.